Relaxation during pregnancy is so important and sometimes it seems so hard to achieve. Whether you are feeling anxiety over your birth, just busy getting ready for your new little one, or running around after older siblings, there's always something that seems to get in the way. Here are a few ways to lower your stress level during your pregnancy so you can all rest a little bit easier. Pregnancy massage and chiropractic care, when appropriate and approved by your provider, are great ways to lower your stress levels and deal with some of the physical discomforts of your changing body. Finding a massage therapist who is trained and certified in pregnancy massage is important, as they've been taught special techniques to safely work with the pregnant body. If you can combine this with some friends and a spa day (current recommendations say that saunas and hot tubs are out during pregnancy, as are many essential oils, sorry!) all the better. Pamper yourself with a mani pedi. Get a facial. Enjoy the soothing atmosphere. I particularly love the Glen Ivy Hot Springs and Spa in Corona, CA. It's a bit of a drive, but between the delicious and healthy dishes in the cafe, the sparkling pools, the Grotto and the array of spa services, you will emerge feeling rested and rejuvenated and you won't even miss the hot tub. Don't be afraid to put your feet up! I know, you may be busy, but try to find a few minutes every day to just put your feet up for a minute. Make a cup of tea or some sparkling water if it's too hot, and close your eyes. Some soothing music, a good book, whatever you need. It's important to take these moments in our busy daily lives. Your growing baby needs all the rest you can get. Consciously relax your body. Focus on your breathing. When I can carve out a few minutes to relax I like to pop on a short, soothing, guided meditation from the Buddify app. Get close to the water. Even stepping into a warm shower can help you relax when you're in a state of stress. Got a few extra minutes? Take a bubble bath with something relaxing, like lavender bath salts (if you're ok with the smell). Here in LA it's generally not a terribly long drive to the beach, depending on the time of day. Just walking along the sand listening to the sound of the water can heighten your calm and promote a sense of well being. If you've got older kids, letting them run off some steam in the sand and play in the water can also contribute to everyone's relaxation later on! Everybody knows that exercise is good for you, but exercise also helps you deal with your stress levels a little more effectively. A gentle walk, stretching, a pregnancy yoga or tai chi class, or going swimming are all great forms of exercise for pregnancy. Bonus, they help keep your heart and body flexible, strong, and healthy for your upcoming labor and delivery. 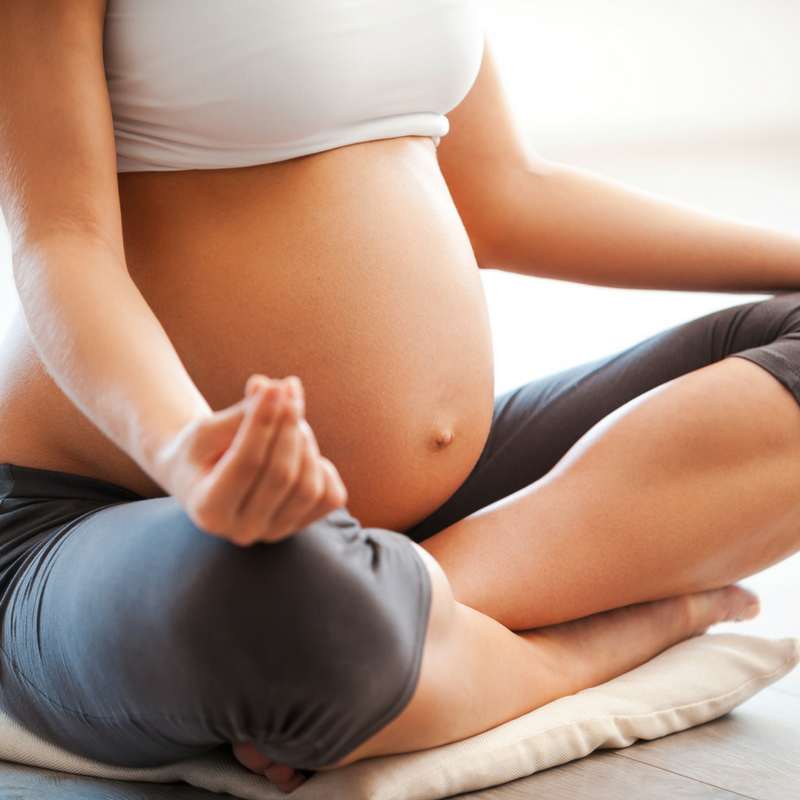 It's important to take time for self care during your pregnancy and to consciously manage your stress levels. You deserve to be the most relaxed you that you can be, and so does your baby! If you're still overwhelmed and need a hand, consider hiring an antepartum doula to help you out before your baby comes. From handling light housekeeping and meal preparation, providing informational and emotional support, helping with comfort measures for advanced pregnancy, an antepartum doula can be a great tool in your stress management toolbox.